AT&T has launched a new volley in the battle between mobile phone providers. The company announced new price cuts for family plans and offered additional discounts for new customers. 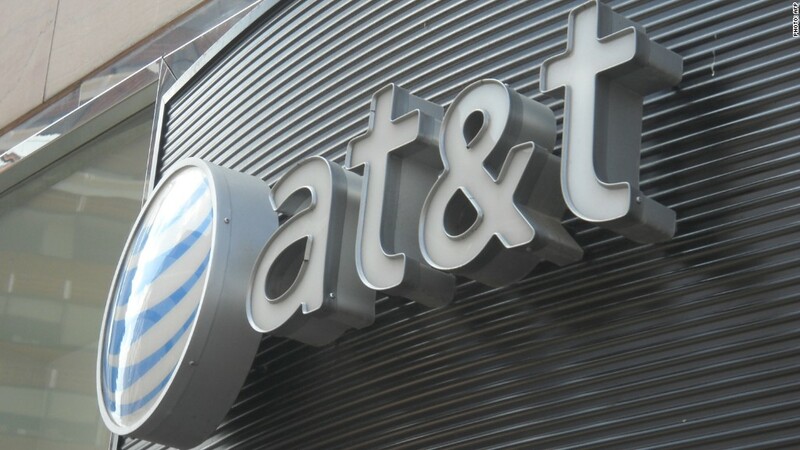 And in an apparent effort to keep its own customers from departing to other carriers, AT&T (T) also extended the discounts to its current customers who renew. It offered a one-time $100 credit toward their bill for each new line registered with AT&T. The plans are for customers who shell out for smartphones. The company called the offer its best-ever. It estimated monthly savings between $40 and $100 for a family of four. A plan that includes 10GB of data, unlimited minutes and unlimited texting would cost $160 per month. Similar offers are available for $260 per month at Verizon Wireless, at least $220 per month at Sprint, and $140 per month at T-Mobile (TMUS), according to information on each company's website. With cell phones largely ubiquitous, providers are finding themselves cannibalizing each other for new customers. AT&T is the No. 2 wireless carrier behind leader Verizon Wireless. AT&T has been under direct assault from T-Mobile, the No. 3 carrier that has eliminated contracts, cut rates and increased upgrade frequency. Just this year, AT&T and T-Mobile have gone head-to-head fighting for customers. In January, AT&T offered T-Mobile customers who switched $450 in credit. T-Mobile countered that with a similar offer amounting to $650.